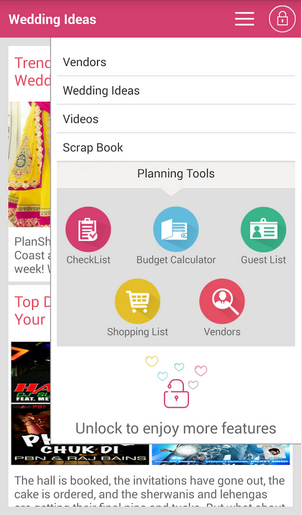 After months of effort we have finally launched the next version of PlanShaadi Android app. This new version has many new features within it. Lets talk about few of them below. 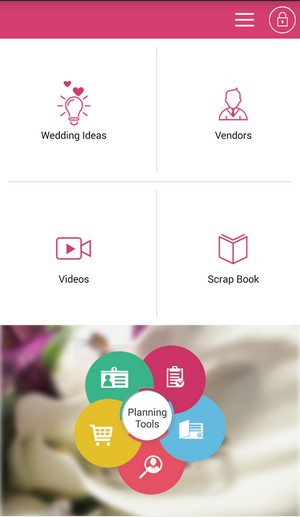 This section provides you with updated content that will help you and your bride during wedding. It contains articles related to all different topics, like “What should you wear in your wedding”, “What kind of music you can play” etc etc. This section brings to you vendors for all different items that you require in your wedding, like Decoration, Music, Photography etc. This is your favourites section, did you saw some interesting dress in the app, just mark it and it will be listed here in scrapbook. 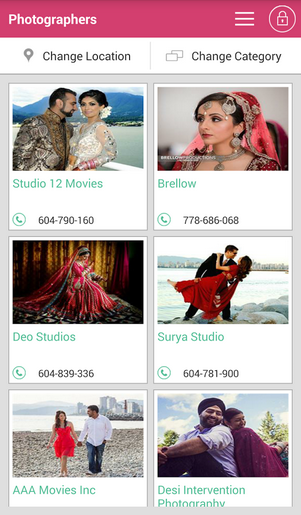 From Bridal Wear to Snacks, you have videos related to all such things by professionals here in your app. Yes, we have a brand new design of the app. Besides all the above there are many other small changes in the app. So guys just go to the link and check the app.